With stress levels increasing in today’s competitive life, weekend getaway in the lap of nature is the best way to rejuvenate you. Corbett is one of the most sought after places for a quick escape. Just 6hrs drive from Delhi takes you to this beautiful place close to nature. While Corbett has plenty of accommodation options available finding a neat boutique hotel that is located in the heart of the jungle and moderately priced is not an easy task. Below is a brief of my stay. I hope my experience will help you make your search and decision-making easier! After a lovely drive of around six hrs from Delhi we reached Ramnagar. An exciting drive started just a few minutes after we crossed the Kosi barrage that took us through the dense forest passing the grasslands and crossing the river beds. While we were driving through this magical land, a friend Pankaj who has already been here many times told us the tales of the area. He has witnessed a lot of wildlife here on this drive. Be it spotting beautiful little Himalayan birds or bumping into a herd of wild elephants or spotted deer one can expect anything. This drive is no less than a wild safari. We passed through the uneven terrains enthralled and captivated by the beauty of the jungle. Shy golden rays of sun could hardly reach the wet bushes and leaves longing for its warm touch. We were mesmerized by the sight, sounds and scent of the jungle when we realized we have reached our destination - The PRIM Resort, located at Kyari - the buffer zone of Corbett National Park. Just outside the resort gate is a river bed that fills with water during monsoons. A warm welcome by the well trained soft spoken staff immediately made me feel at home. Just a walk around the nicely maintained beautiful resort was enough to assure me of a comfortable stay in coming days - hospitable staff, clean spacious tastefully decorated rooms with nice big bathrooms and hot water available 24hrs, enough green space and well trimmed gardens to walk around and a well maintained clean pool to relax. After relaxing for an hour, I pushed off to explore the village Kyari. Mud houses and the green fields, ladies working in the fields and carrying fodder, kids playing with sheep and old lady with her grandson sitting in the courtyard – I felt like I have been transported back to my childhood days. An elderly lady in one of the houses courteously invited me for a cup of tea. We sat in front verandah of her house looking at the sky. The sun was setting and the reflections of the setting sun on clouds created magical spell of colors. My group was relaxing by the pool side with some drinks and nicely prepared snacks when I reached back. I could not resist and joined them. The hotel staff deserves a mention here. They were extremely accommodating to our requests and went an extra step to ensure they are met. Delicious dinner was served absolutely on time. Next day was dedicated to the adventure activities that the resort had organized for us. 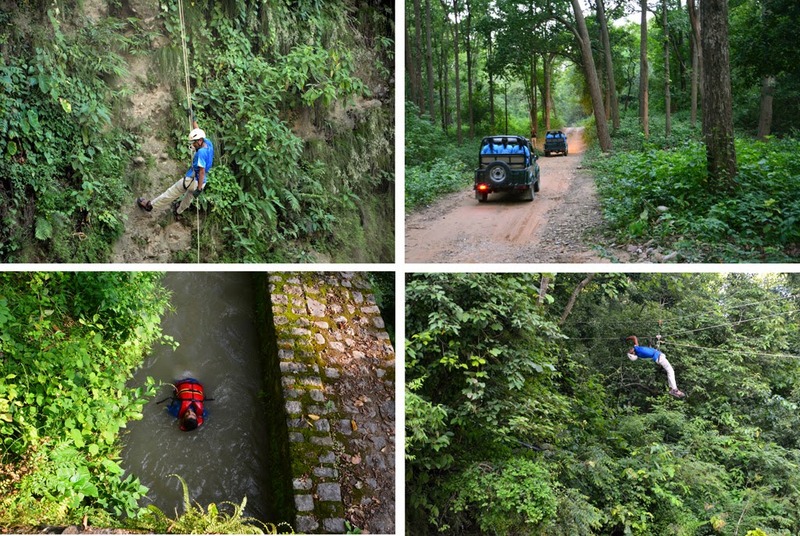 We did jungle safari in the first half of the day that was full of excitement while rappelling, rock climbing and river crossing at River Khichdi and body surfing satisfied our adventurous souls later in the day. I was quite skeptical in the beginning to try all this but as I met the expert and spoke to him, his assuring and comforting talks made me do it all. And now I thank him for instilling the courage in me else I would have missed the entire thrill. The guided lantern walk in the jungle after dusk was what the resort people offered us to do in the late evening. Though we were dead tired, could not resist it. Walking through the jungle at night was like a musical spell. The sound of cricket and occasional calls of deer mixed with the sound of rain drops on the saal trees resulted in a mystic effect beyond the darkness. Though we could not stay out for long due to rain, I decided to visit the place again just to do more of it. I wanted to spend the next day at leisure. It started with a hot cup of masala tea while watching mesmerizing sunrise. Post breakfast I picked up my book and walked up to the machaan (watch tower). PRIM is the only place around that has a machaan where you can sit and enjoy reading or keep an eye on the surroundings for some wildlife or sit at night with friends and chat. Around the resort are many river beds. Spending some quiet my time on a huge boulder, feet dipped in water sitting in middle of the jungle refreshed me. It being a pleasant weather I took a walk in and around the resort and tried to capture as much as I could in my eyes and camera. 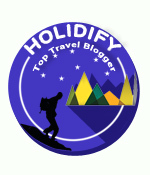 The resort is just 6hrs drive from Delhi through Gajrola, Moradabad, Kashipur and Ramnagar (around 240 km.) and is located at Kyari, the buffer zone of Corbett. Resort Amenities: Swimming Pool; TT table; Library; 50 ft. high Machaan to enjoy the forest; Beautiful dining area overlooking the landscape and 60 seated conference hall. Room prices for this resort starts at Rs. 4000 with meals for two. They give the best rates at www.primresorts.com'. 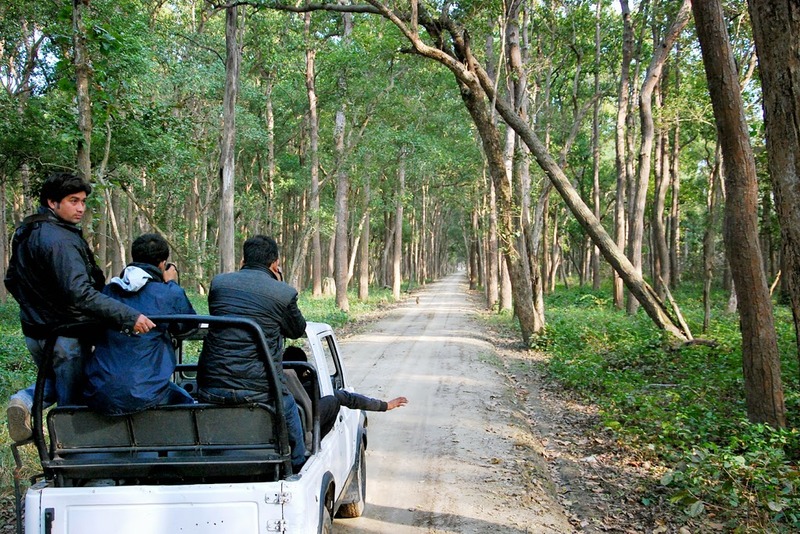 Jeep Safari to Corbett National Park can also be arranged. Pick and drop from the resort at no extra cost. 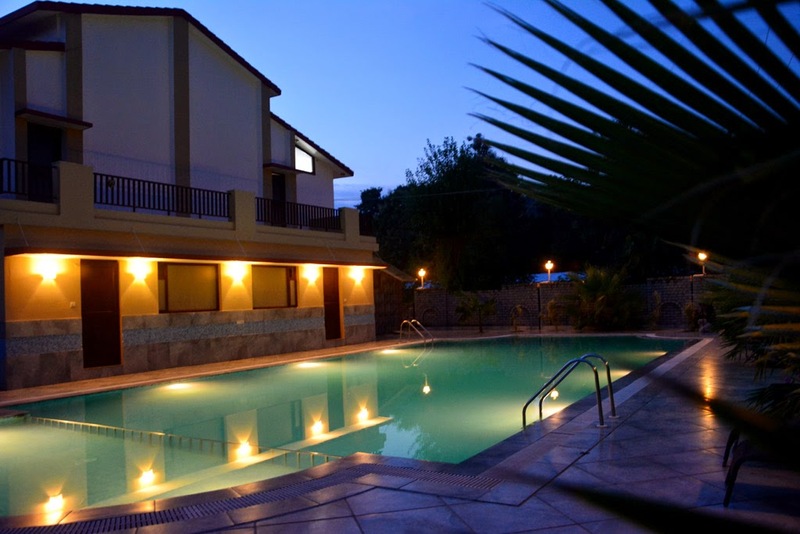 PRIM RESORTS is a Collection of Boutique Resorts in most beautiful offbeat locations. For details and bookings visit their website http://www.primresorts.com/.